During the musical performance Delilah Gutman will plant the Singing sculpture in the Joseph Beuys Piantagione Paradise. solo piano by Delilah Gutman. On April 25, 2015, in Bormio, will be presented the documentary movie by Chiara Longo titled “Gli Zagabri”, with the original music by Delilah Gutman. 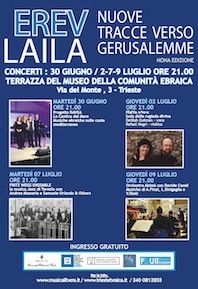 “Gli Zagabri”, produced with the promotion of Universitas Studiorum Insubriae, A.N.P.I., BIM, Municipality of Aprica, gathers up the oral testimonies – with the comments by Michele Sarfatti, Cedec Foundation Director – that narrates the history of Aprica and the Jewish people from Zagabria in the period of 1943 – 1945. Bormio: 2.30 pm, Banca Popolare of Sondrio Conference Hall; 9 pm, Piazza Cavour. 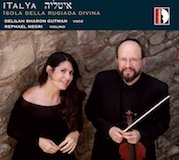 On Friday, January 16, RAI Radiotre – Primo Movimento – will be airing “Kuando el rey Nimrod” and Valentina Lo Surdo will talk about “ITalYa”, the new CD for voice and violin published by Stradivarius. 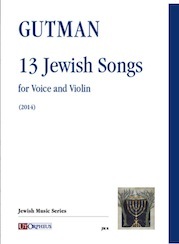 Jewish Songs by Delilah Gutman, for voice and violin, has been published by the Ut Orpheus Editions, of Bologna. 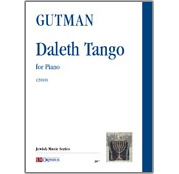 Daleth Tango by Delilah Gutman, for piano, has been published by the Ut Orpheus Editions, of Bologna. 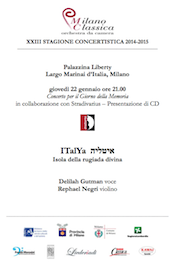 Jewish Tango by Delilah Gutman, for piano, has been published by the Ut Orpheus Editions, of Bologna. 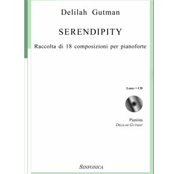 Serendipity by Delilah Gutman, a collection of 18 pieces for piano, has been published by the Sinfonica Edition, of Milan. 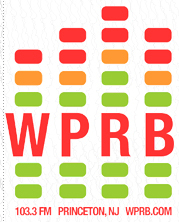 On Wednesday, October 9, Classical Discoveries will be airing between 9 and 10 am (US eastern time) “My sound of purple silence” – for viola, piano and elecronics – and “Un battito di sole” – for viola and piano – two compositions from “Acqua”, with the choreography by Vittorio Colella. The first sounds that we listen to, before we are born and explore life, are those of the voice of our mother, from an exceptional auditorium: the belly. Then follow those of the first lullabies. “Once upon a time Mozart” is an homage to W. A. Mozart and to the voice of Laura Catrani. It suggests the story of creation of one of the most known melodies of the mozartian repertoire – the joyful incipit theme of “Eine kleine Nachtmusik” (composed to celebrate an event) – through two questions, that I have asked myself while composing it: what melodies Mozart had been listening to from the belly of his mother and which lullabies was singing his mother to her little baby? “Once upon a time Mozart” is one of the possible musical answers: starting from the gradual modal elaboration of an original lullaby, which musical material takes from the personal sound dimension of Hebrew modes – some of these share the major scale and the minor harmonic scale with the tonal system – is reached the final citing of the “little serenade”. The melodic line so becomes the guideline of the fantastic and joyful story, which conducts to the notes of Mozart through the poetic words of “Lullaby to Benjamin” by Manrico Murzi. 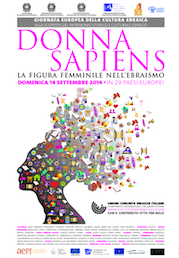 I primi suoni che ascoltiamo, prima ancora di nascere ed esplorare la vita, sono quelli della voce della nostra mamma, da un’auditorium d’eccezione: la pancia! Seguono, poi, quelli della prima Ninnananna. L’idea immaginaria di “Once upon time Mozart”, un’omaggio a W.A.Mozart e alla voce di Laura Catrani, suggerisce la storia della creazione di una tra le più celebri melodie del repertorio mozartiano – il gioioso incipit tematico di “Eine kleine Nachtmusik” (composto per il festeggiamento di un evento) – attraverso due domande che mi sono posta durante la scrittura: quali melodie ascoltava Mozart dalla pancia della sua mamma e quale Ninnanna cantava la sua mamma al piccolo bebè?”Once upon time Mozart” è una possibile risposta musicale: dalla graduale elaborazione modale di un’originale Ninnananna, il cui materiale compositivo attinge alla personale dimensione sonora di modi ebraici – alcuni di questi condividono con il sistema tonale la scala maggiore e minore armonica – si giunge alla finale citazione della “piccola serenata”. La linea melodica diventa, così, il filo della storia fantastica e gioiosa, che ci ri-conduce attraverso il testo di Manrico Murzi “Ninnananna a Benjamin” alle note di Mozart.